INTERESTED IN ADOPTING & LEARNING MORE? 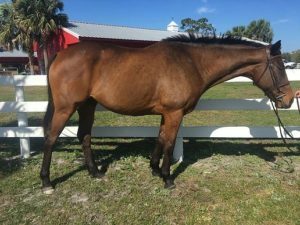 All of the horses below are currently in the Florida TRAC retraining program in Indiantown, FL in preparation for their forever homes. Be sure to click on each one for more details. When you find one you love, simply fill out the adoption application below, and we’ll reach out to you. A tax-deductible adoption fee may apply at time of adoption. Your application is not binding. We’d just like to get to know you better to help match you with the perfect horse. Adopting a horse comes with great responsibility. Through the interview process it is imperative the potential adopter is able to display they can provide a safe and healthy future home for their new family member including financially and barn environment. While coastal hay is an option as a forage source for your new horse, we do not recommend feeding coastal. Coastal hay has been shown to significantly increase rate of colic or additional health complications. We strongly recommend seeking an alternate hay source. Adoption fees vary based on many factors including but not limited to the amount of retraining, soundness, age and suitability for future career options. 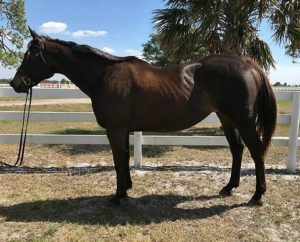 We recommend filling out an adoption application and exploring the options available at FL TRAC. Appropriate verification of stabling is part of the adoption process. Post-adoption we want to keep in touch! You are now part of the FL TRAC family and we love hearing from you with updates and accomplishments of your new partnership. FL TRAC is always available to help with questions throughout your new journey.